The Doctor has dinner with the enemy, Mickey wants to cheat on his girlfriend, and no one seems to object to Cardiff Castle being demolished. 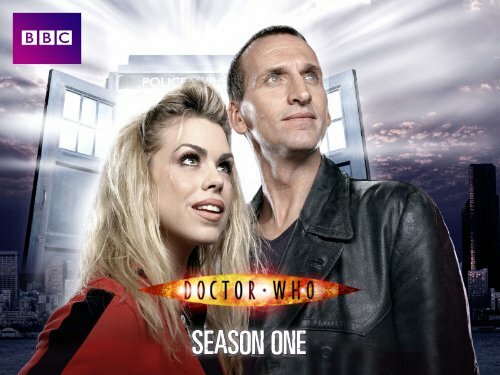 The Doctor, Rose and Captain Jack Harkness materialise in Cardiff right atop the rift, that appears to have changed location since N003 The Unquiet Dead. There, they meet up with Mickey (aka Ricky) and all seems fine. They’ve gone to the rift to recharge the TARDIS – a first and last on Doctor Who – and since that’s going to take a while, they decide to pop off for a nice lunch and a catch-up. Doc and Rose accidentally materialise in Cardiff and go Ghostbusting with Charles Dickens. The Doc is sentenced to death for a parking violation and Lucie is temporarily replaced by a nimbler model in this sadly forgettable audiobook. More farting aliens. Did they recycle some leftover footage? This episode was solely written to establish the rift for Torchwood. It does not advance the Doctor Who series. Could it please get lost like some of the classic episodes? I have no idea how you guys will react to this one so I’m just going to put on my ‘Slitheen apologist’ hat! Boom Town is clearly a cheap story, shot in Cardiff, the home of NewWho, it has no major cgi elements beyond lightning and earthquake effects, and re-uses old characters and costumes saving time and money. Cheap doesn’t necessarily mean bad. Blink was made on the cheap, look how good that turned out. What we get out of this, is a wonderful character study of both Rose and Mickey, as well as The Doctor and Blon. We also get a nice breezy adventure with Captain Jack on the TARDIS team, something we really didn’t get enough of. Boom Town has the unfortunate placement of coming right after the superb Empty Child/Doctor Dances, which used it’s budget well on sets, cgi where needed, and costumes (Captain Jack’s inaccurate uniform aside!). It’s followed by the finale of the series which clearly is going to have a fair bit of money spent on it, plus Daleks, plus an amazing performances from everyone involved. Oops, jumping the gun a bit here. You get my point though, it’s a barebones story slotted between two of the most well-crafted stories in NewWho. Of course it’s going to look a bit out of place. Despite this, this story comes out well for me. Frankly any story that delves into the morality of The Doctor gets a plus from me. You could argue it’s done better in Dalek, and certainly in a less on-the-nose way. The dinner scene between Eccleston and Badland just shows two prime-actors executing some brilliant dialogue. It’s the highlight of the episode. The Doctor, having dinner with a murderous, scheming, enemy who begs for her life. The characters here all show what it’s like to be changed. Rose and Mickey’s relationship is fraught with trouble as a date on the bay descends into arguing as Mickey feels inadequate next to The Doctor and Rose’s relationship. The Doctor is so changed by the time-war that he becomes cold, no longer merciful. I mean just look at the parallel’s here: “Every now and then, a little victim’s spared because she smiled, because he’s got freckles, because they begged. And that’s how you live with yourself. That’s how you slaughter millions”. This is fantastically written by RTD,and it may be a theme that returns often in NewWho but this scene and many in Dalek I think encapsulate the post-Time War Doctor. The other beauty is this episode is that it’s funny. Even for such a heavy scene as the dinner-date, we get some humour. The business with the poisoned drink and poison dart is hilarious, and Eccleston’s grin at ‘steak and chips’ is a particular favourite moment of mine from his entire run on the show. The TARDIS team are having such fun early in the episode as they swap stories, and even when they chase Margaret. Even if it’s a bit of Benny Hill type humour, the teleporting of a fleeing alien closer and closer with such nonchalance is just great comedy. The fact that she’s a Slitheen isn’t that relevant to the message of the story. It could be a Zygon the Doctor takes to dinner and it wouldn’t be any more or less powerful a scene. There’s only one fart-gag so even if you’re not a fan of that, giving the Slitheen as a reason to dislike this story isn’t really valid as that isn’t the point of it. Also, as a guy from South Wales, I still get a kick from seeing the Doctor in Cardiff, outside the Millennium Center, down the bay, even eating in a restaurant I’ve been to (A bit pricey, wouldn’t recommend)! I imagine it’s what Londoners feel when he’s cycling up The Shard or running past Big Ben. Anyway, I’d give Boom Town a solid 3.8. This was two years ago so I don’t know why I’m bothering, but I think you guys missed something! You objected to the fact that the TARDIS console opens for no apparent reason, something it almost never does again, as a sort of deus ex machina…but the Doctor explains right after it opens, that it’s doing it *because they’re on top of the rift* and it’s “pulling the ship apart.” It doesn’t just do it for no reason or because it’s choosing to; it’s a byproduct of the destruction Blon is bringing about. In my opinion this makes it at least a little bit more forgiveable. I just had to put my two cents in! Hey Kathy, yep, you’re absolutely right. Thanks for listening!